1. The Water Flow Sensor is light, nimble outline, small size and easy to install. All materials are in line with ROHS testing standards. 2. There is an integrated hall effect sensor that outputs an electrical pulse with every revolution. The hall effect sensor is sealed from the water pipe and allows the sensor to stay safe and dry. 3. Stable, high temperature, low water pressure start, safe. 4. Can use for Water heaters, credit card machines, water vending machine, flow measurement device. 5. Water Flow Switch: Two Line Type, Normally Open, switch signal output, open when water flow through; close when no water flow through. Copper material, small size, easy to install. 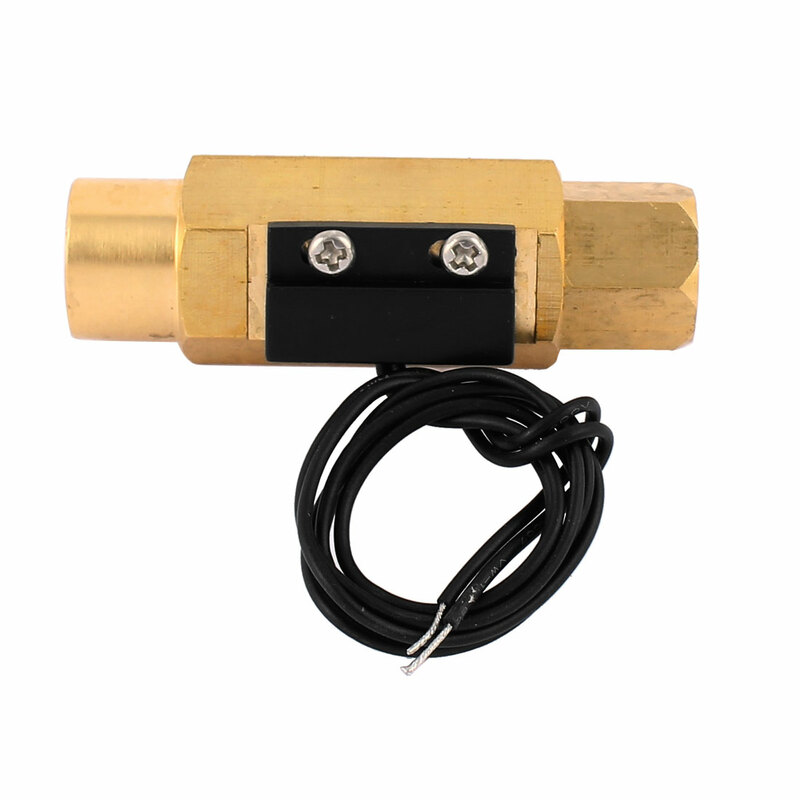 The water flow sensor is applied for water heater, and can be used as flow switch. Maximum water pressure: 1.5MPa, flow range: 1.2-12L/min. Stable, high temperature, low water pressure start, safe.